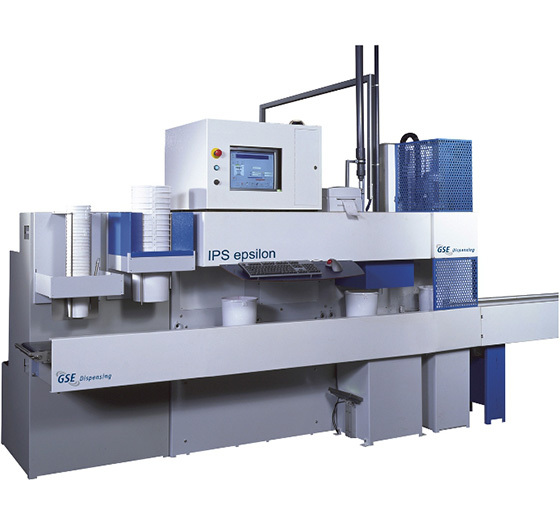 A versatile, high-capacity dispensing system ideal for preparing small quantities or samples, IPS epsilon can operate standalone or in combination with a production system. The system accommodates up to 64 valves, and is available with manual bucket handling or automatic bucket handling/blending, with or without a separate cascade dispensing unit for thickening. The IPS epsilon is suitable for using typical 1 kg, 5 kg and 15 kg buckets that are specified by GSE for perfect bucket handling. The IPS epsilon is available in three different variations: with semi-automatic bucket handling and blending; automatic bucket handling and blending; and a high-performance configuration. The entire system is specially designed for dispensing small quantities, with all valves, pumps and mixers, as well as the dispensing algorithm, geared towards producing accurate samples. 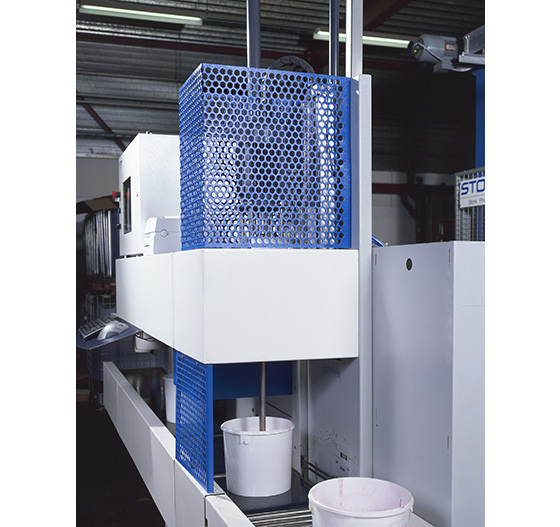 Options such as bucket supply units and an automatic labelling unit increase the level of automation even further.